Come and Join us & explore your creative side! We offer a range of florist workshops in Lincolnshire at our florist barn, Eresby Farm, Spilsby. These wreath workshops are suitable for complete beginners or more experienced flower arrangers. You can opt to make either a 12” or 14” wreath (prices vary accordingly). You will work in a group of up to 12 people alongside one of our tutors learning how to create and craft a traditional Christmas door wreath. All your materials and tools are provided and you will be able to select from a variety of finishing; from traditional oranges, limes, pine cones, baubles and bows to more rustic and country twists of gun cartridges and pheasant feathers. Also included are some light refreshments of mince pie, tea, coffee and mulled wine. We teach the technique – you create the design! We provide all the materials and tools. You arrive, create and leave with your fabulous creation. 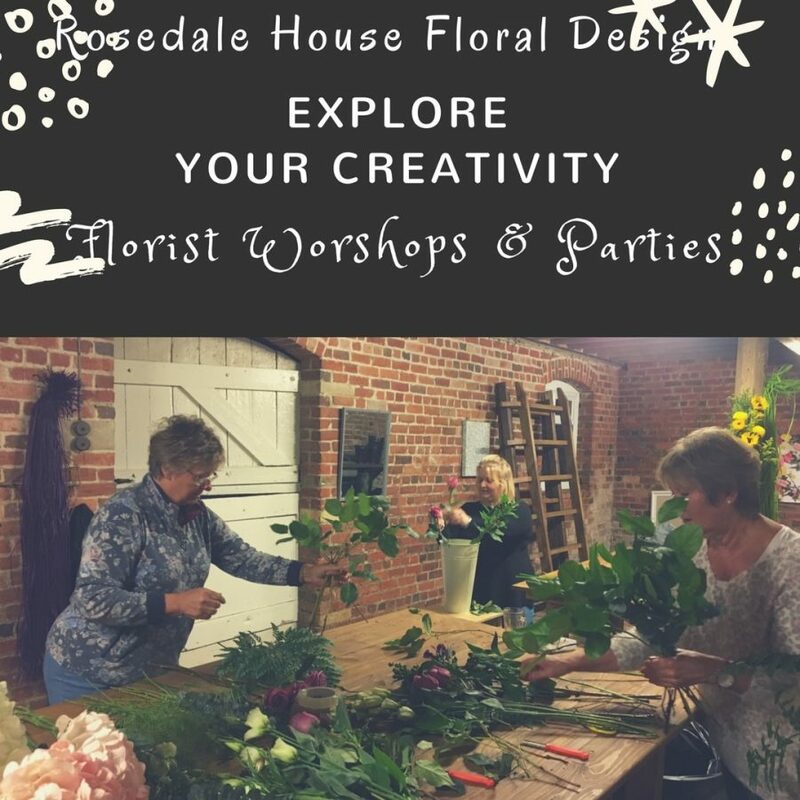 Rosedale House Floral Designs offers workshops and parties for both adults and children. Want to offer something different for your son or daughters birthday party? Why not arrange a flower party? Children can create anything from ladybirds to fairy gardens in colourful blooms. We provide all tools and equipment and prepare foliage and flowers in advance to facilitate a smooth and engaging workshop where all children have a fabulous arrangement to take home with them. Prices start from around £15 per child (minimum of 8 children) and vary depending up on the product that you would like children to make and location. This is a mobile service and hosts would need to provide a venue. We offer this service across Lincolnshire. 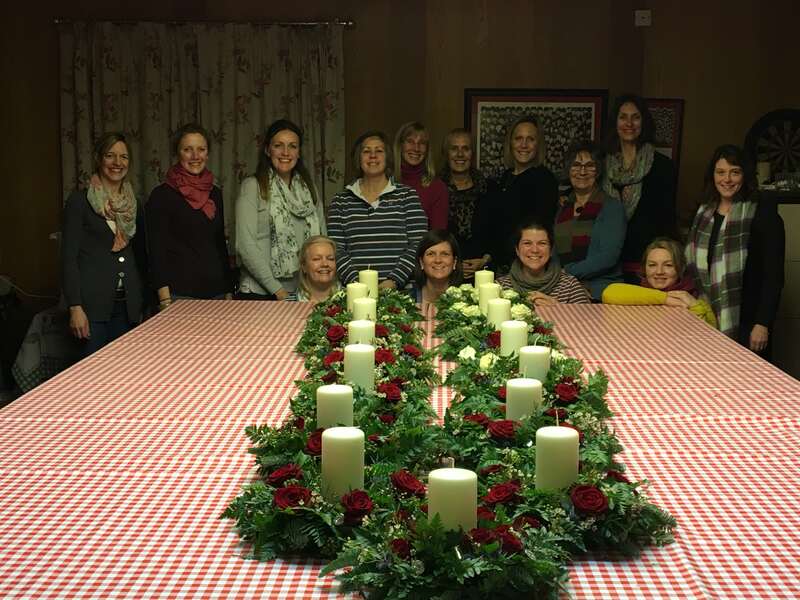 Whether it is a hen party, birthday celebration or just a seasonal get together at Rosedale House we offer a range of party options from wiring techniques to Christmas table arrangements. The minimum group size is 8 and prices start from around £25 per person, and vary depending on the product that you would like to make. Flowers, foliage an tools are provided. This is a mobile service and hosts would need to provide a venue. We offer this service across Lincolnshire. Please contact Michelle for further information using our contact form.